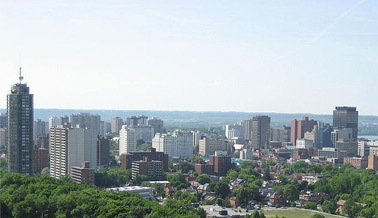 In 2001, the new city of Hamilton was formed from the forced amalgamation of the Regional Municipality of Hamilton-Wentworth and its six Ontario municipalities: Ancaster, Dundas, Flamborough, Glanbrook, and Stoney Creek all came together to form what is now known as the new City of Hamilton. The need for disposal bins and disposal bin rentals increased. Before amalgamation, the "old" City of Hamilton had 331,121 Hamiltonians divided into 100 Hamilton neighbourhoods. The new amalgamated city of Hamilton has 490,268 people in over 100 old neighbourhoods, and surrounding communities creating a great commercial and residential environment and the need for disposal bins. We provide fast and friendly dumpster rental service to the Greater Hamilton Area.